Greetings for 'Children's Day' with this beautiful painting of Ruth J. Morehead, depicting adorable kids who gather flowers. May the love and laughter stay on every child's face. 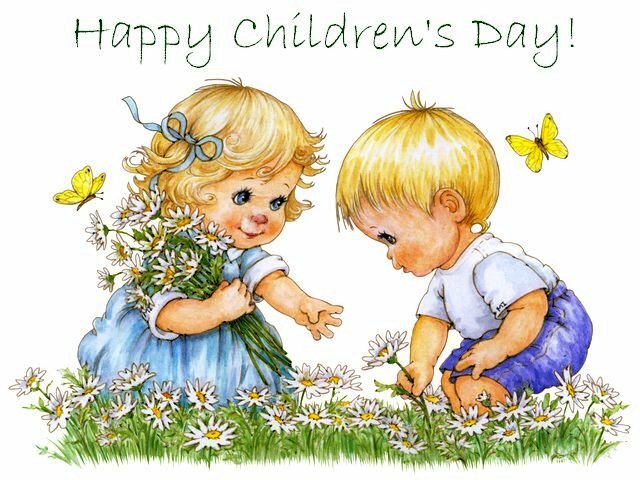 Children's Day is recognized on various dates in the countries around the world. The International Day for Protection of Children is celebrated as Children's Day on June 1 since 1950, established by the Women's International Democratic Federation. By United Nations recommendation, the date 20 November, marks a Universal Children's Day as a day of fraternity and understanding between children.